STEPPIN’ OUT. Ready to dance? Steppin’ Out is! 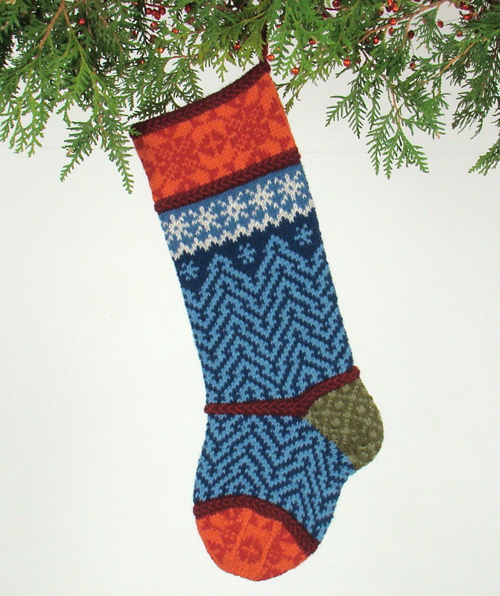 A great “her” for a bride and groom starter set, she goes well with Christmas Argyle, Silent Snow and Norse Woods. Eight skeins, 7 colors, and an optional second 3.5mm 16″ circular needle for working the ruffles.